Reviews for RealEstate.com, an Internet MLS aggregator, empowering consumers with data, inspiration, and knowledge around the place they call home. RealEstate.com is an MLS Aggregator that allows buyers and sellers to list homes and find out what local homes are available for sale. RealEstate.com generates revenue with ads using Zillow Group’s Premier Agent and Premier Broker programs. RealEstate.com does not offer any paid services to consumers directly, instead, it generates revenue from real estate broker ads. RealEstate.com is a Zillow Group subsidiary with similar search results, data, and options available to consumers. 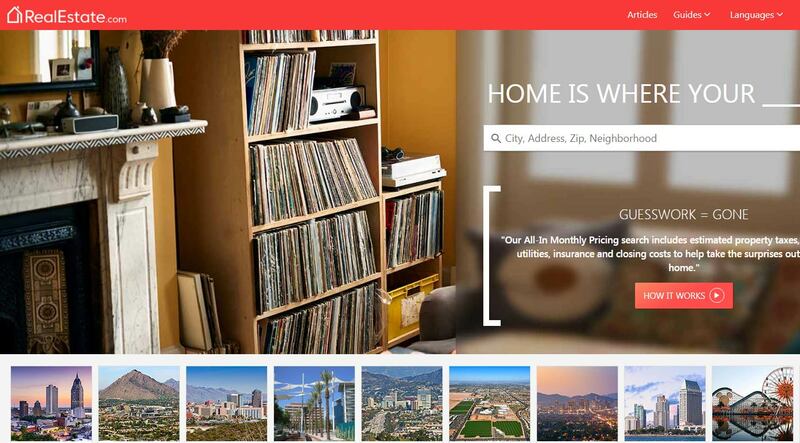 RealEstate.com is an Internet MLS aggregator, empowering consumers with data, inspiration, and knowledge around the place they call home.